Travel anywhere in Ireland (I suspect) and you will see this startling, variegated tree. It is grown in the UK too but is nowhere near as popular there. Here it is used as a specimen tree but more often it is grown as a screen, cut back to a main trunk or ‘pollarded’ every few years. As a garden plant it has some good points. 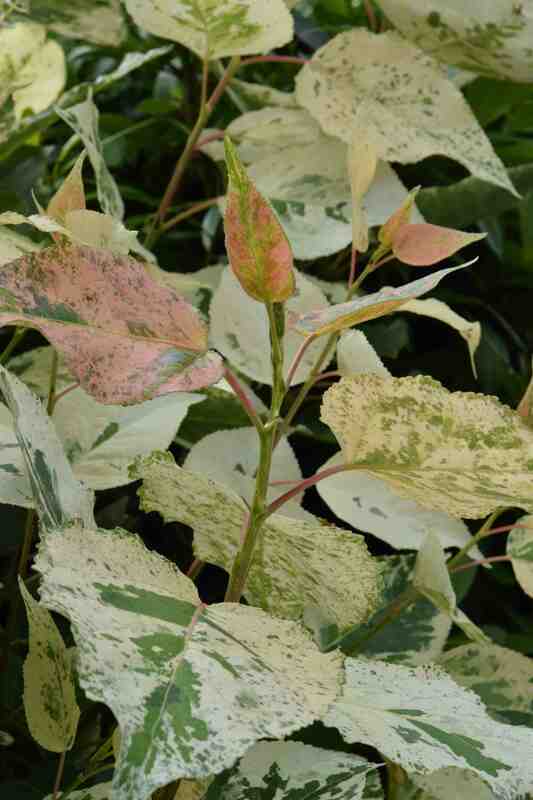 The first is pretty obvious; the strikingly variegated leaves. Populus x candicans (also called P. x jackii and P. x gileadensis) is a hybrid of P. balsamifera and P. deltoides*. As poplars have small, wind-pollinated flowers I doubt this was a controlled cross and the parentage was just surmised but the hybrid occurs in the wild in North America where the two species overlap so its a fairly safe bet. Anyway, the first parent is well-loved for the fragrance of its sticky foliage buds and new leaves; an attribute it has passed on to P. x candicans. Spring is full of fragrance but walking near these trees and being enveloped in their sweet, resinous aroma is a rare treat. This sticky gum is collected from the buds for medicinal use and is widely called balm of gilead. This is mentioned in the bible but in fact it is not this plant at all (a clue is that these poplars are North American) but commiphora (Myrhh). The large, heart-shaped leaves often start the season worryingly green but they soon change as the shoots elongate and they are generously splashed creamy white and often tinted with soft pink. Some people have written that a pollarded tree, covered with variegated leaves looks like a freely flowering davidia. I can’t really agree. But this is a showy plant. The ultimate height is somewhere between 10-20m but most plants are kept smaller than this by hard pruning which makes them manageable for small gardens and also stimulates the most colourful foliage. If you see a naturally growing tree it is nowhere near as exciting as one that is regularly pruned. 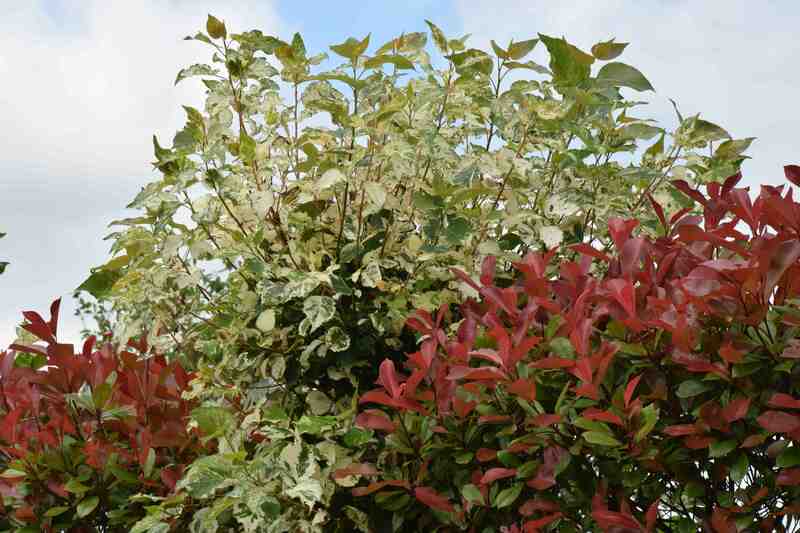 Quite often home owners decided that it was not quite bright enough on its own and planted it with photinia ‘Red Robin’. I am not quite sure what to think! It is certainly bright! It is not great for wildlife but at least it isn’t ‘Leylandii’. Apparently the plant first arose in a garden in Devon, SW UK, and was introduced by a nursery in Truro in 1920. It is naturally not a long lived tree but the pollarding of the plant reduces its life because every pruning cut exposes the plant to fungal pathogens. So plants are often seen suffering from cankers and other fungal diseases. Poor health also results from this tree being easy to grow, so it gets planted in awful conditions. To grow well it prefers a rich, moist soil and although it does not like dry conditions is quite good near the sea. I wouldn’t let the disease problem put you off planting one if you like the look of it but think of it as a tree for you to enjoy rather than your grandchildren. I would just add that I have often seen it recommended as a good plant for a small garden. That worries me a little because although it may not be the biggest poplar, it is still a poplar and second cousin to willows and I would not want one near my house, on a heavy clay soil or anywhere near drains. Now I know some willows (salix) are cute, dwarf rock garden plants but poplars are poplars and being a good student I remember my fables and what I learned from Aesop about the frog and the scorpion – ‘I couldn’t help myself, it’s in my nature’. * There is a new form of P. deltoides slowly spreading into garden centres called ‘Purple Tower’. This is a large tree that should reach about 10m high but is probably most valuable as a shrub to pollard every spring to encourage large, lustrous, purple foliage at the back of a border. 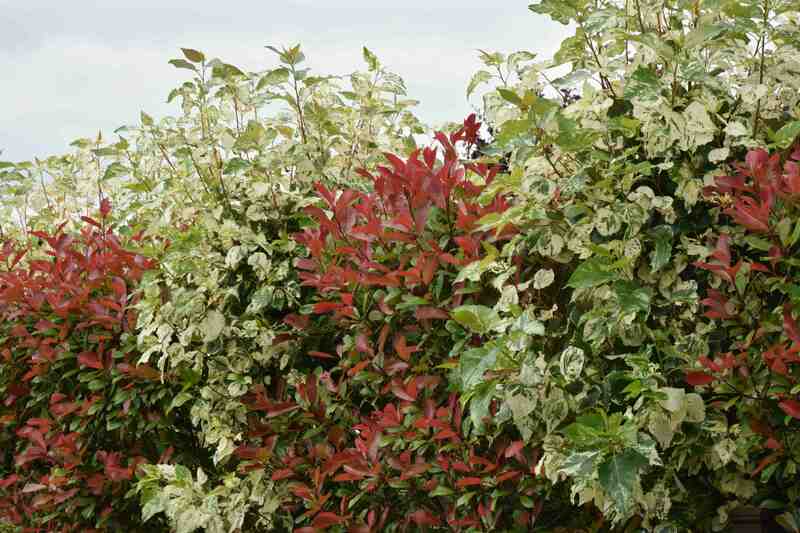 The foliage has good autumn colouring too and it should be an interesting and fast-growing alternative to the few purple-leaved trees currently available. It will be faster than purple beech and shouldn’t get the awful, disfiguring mildew that affects purple maples such as Acer platanoides ‘Crimson King’. Thanks Judy 🙂 Yes the foliage is dramatic! What a lot of interesting facts there, especially about the resin and balm of gilead – I never knew that! I loved, too, your comparison with panto v. Shakespeare! Can’t decide about the tree though! I know what you mean. It is not so much the plant as a way to use it!